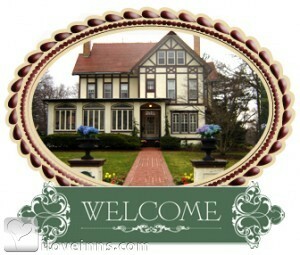 Newark bed and breakfast travel guide for romantic, historic and adventure b&b's. Browse through the iLoveInns.com database of Newark, New York bed and breakfasts and country inns to find detailed listings that include room rates, special deals and area activities. You can click on the 'check rates and availability' button to contact the innkeeper. The village of Newark is located on the historic Erie Canal and is a convenient drive to Rochester and Syracuse. Our location is just minutes from the Finger Lakes wine trails, local ski resorts, apple farms, outlet shopping, the birthplace of the Mormon religion and many more attractions. By Vintage Gardens Bed and Breakfast. Nestled along the calm waters of the historic Erie Canal, the Village of Newark welcomes visitors to enjoy the village and an abudance of things to do and experience in the New York Finger Lakes area. Today, Newark offers a combination of a proud heritage, a quiet historic small town, and a wonderful place to visit.Newark is located just minutes from the Finger Lakes wine trails, local ski resorts, apple farms, outlet shopping, the birthplace of the Mormon religion, Lake Ontario and is a convenient drive to Rochester and Syracuse and many more attractions. The NYS Erie Canal passes through the Village of Newark allowing boaters to travel through a scenic water route that runs from Albany to Buffalo. Newark further incorporates a portion of the Erie Canal Heritage Trail that gives ample recreation for hikers, bikers, or individuals that just wish to enjoy wildlife and quiet trails. By Vintage Gardens Bed and Breakfast.